They’re described as nutrition supplements that can increase your metabolism, reduce fat absorption or help your body burn more fat for fuel . Manufacturers often promote them as miracle solutions that can solve your weight problems. However, fat burners are often ineffective and may even be harmful. That’s because they’re not regulated by food regulatory authorities . Caffeine can help boost your metabolism and help your body burn more fat . Research shows that caffeine can temporarily boost your metabolism by up to 16% over one to two hours . In addition, several studies have shown that caffeine can help your body burn more fat as fuel. However, this effect appears to be stronger in lean people than obese people . Unfortunately, consuming caffeine too often could make your body more tolerant to its effects . Green tea extract is also rich in caffeine and the polyphenol epigallocatechin gallate (EGCG), both of which are compounds that can help you burn fat . In addition, these two compounds complement each other and can help you burn fat through a process called thermogenesis. In simple terms, thermogenesis is a process in which your body burns calories to produce heat . For instance, an analysis of six studies found that taking a combination of green tea extract and caffeine helped people burn 16% more fat than a placebo . They discovered that the combination of green tea and caffeine burned roughly 65 more calories per day than caffeine alone and 80 more calories than the placebo . A high protein intake can help you burn fat by boosting your metabolism and curbing your appetite. It also helps your body preserve muscle mass . For instance, a study in 60 overweight and obese participants found that a high-protein diet was almost twice as effective as a moderate-protein diet at burning fat . Protein can also curb your appetite by increasing the levels of fullness hormones like GLP-1, CCK and PYY, while reducing levels of the hunger hormone ghrelin . Soluble fiber mixes with water in your digestive tract and forms a viscous gel-like substance . Interestingly, studies have shown that soluble fiber can help you burn fat by curbing your appetite . That’s because soluble fiber can help increase the levels of fullness hormones like PYY and GLP-1. It can also help reduce levels of the hunger hormone ghrelin . In addition, soluble fiber helps slow down the delivery of nutrients to the gut. When this happens, your body takes more time to digest and absorb nutrients, which can leave you feeling full for longer . In one study, 17 people consumed diets with varying amounts of fiber and fat. It found that people who ate the most fiber absorbed less fat and fewer calories from their diet . These receptors normally bind adrenaline to suppress its effects, one of which is encouraging the body to burn fat for fuel. Since yohimbine blocks these receptors, it can prolong adrenaline’s effects and promote the breakdown of fat for fuel . Keep in mind these athletes were already quite lean, so a 2.2% reduction in body fat is significant . Also, animal studies have shown that yohimbine may help curb appetite . Furthermore, because yohimbine keeps your adrenaline levels elevated, it may cause side effects like nausea, anxiety, panic attacks and high blood pressure (36). It also can interact with common medications for blood pressure and depression. If you take medications for these conditions or have anxiety, you might want to avoid yohimbine . 5-HTP: 5-HTP is an amino acid and precursor to the hormone serotonin. It may help you burn fat by curbing your appetite and carb cravings. However, it may also interact with medications for depression . Synephrine: Synephrine is a substance that is especially abundant in bitter oranges. Some evidence shows it can help you burn fat, but only a handful of studies support its effects . Green coffee bean extract: Research shows green coffee bean extract may help you burn fat. However, studies on green coffee bean extract are sponsored by its manufacturers, which may cause a conflict of interest . CLA (conjugated linoleic acid): CLA is a group of omega-6 fatty acids that may help you burn fat. However, its overall effects appear weak, and the evidence is mixed . L-carnitine:L-carnitine is a naturally occurring amino acid. Some studies show that it can help you burn fat, but the evidence behind it is mixed . However, they often don’t live up to their hefty claims and may even harm your health . Instead, it’s the manufacturer’s responsibility to make sure that their supplements are tested for safety and effectiveness . Unfortunately, there have been many cases of fat-burning supplements being pulled off the market because they were tainted with harmful ingredients . 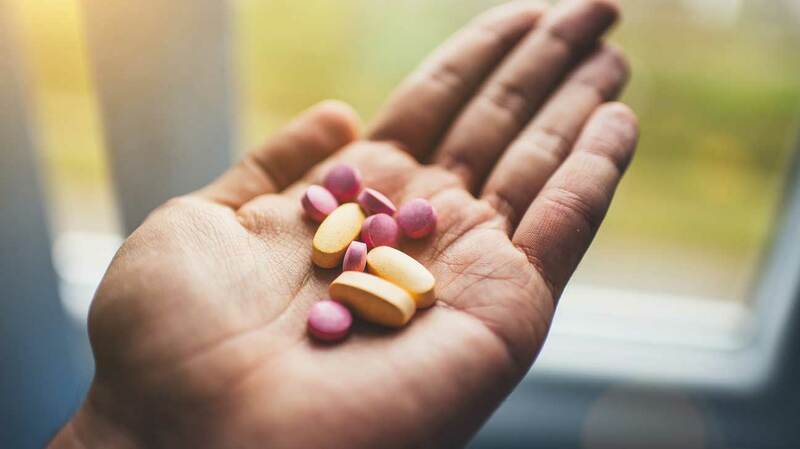 Additionally, there have been many cases in which contaminated supplements caused dangerous side effects like high blood pressure, strokes, seizures and even death .